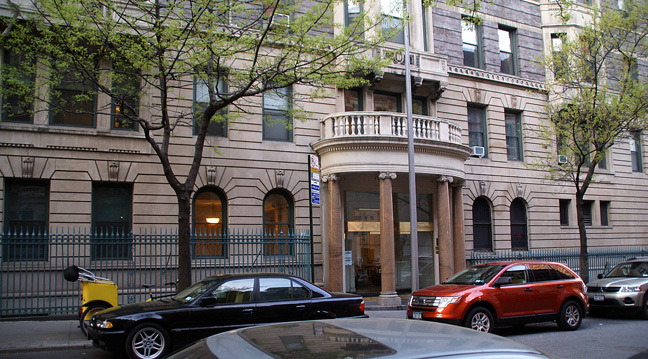 This distinguished, pre-war, 12-story, gray-brick apartment building has 221 rental apartments. It was designed in 1901 by Clinton & Russell, the architects also of the great Apthorp apartment building three blocks to the north on Broadway and an addition was made to it in 1914 by Peabody, Wilson & Brown. In their fine book, "The A. I. A. Guide to New York City, Fourth Edition," (Three Rivers Press, 2000), Elliot Willensky and Norval White described this building as "bland but handsome," adding that its "copper cornice is both potent and elegant." The use of gray brick is rather rare in the city and despite the comments of Mr. Willensky and Mr. White in this instance it is very elegant. With its very attractive quoins accenting its corners, this is, in fact, a very properly attired building that any businessman would be proud of. The building has a two-story rusticated limestone base, limestone quoins, fireplaces and some decorative balconies. It has a marquee, a concierge, a one-step-up entrance, consistent fenestration, protruding air-conditioners, but no health club, no sidewalk landscaping, no garage and no roof deck. Furthermore, its massing of two major, 8-story wings to the south of the 12-story tower gives it the trim but powerful appearance of a battleship for the more imaginative architecture buff. 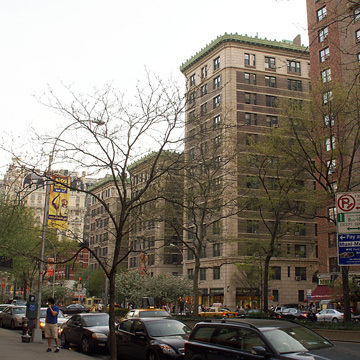 It has a fine, central Upper West Side location that is close to Riverside Park and not too far north of the Lincoln Center for the Performing Arts. An express subway station is nearby at 72nd Street and Broadway and there is excellent local shopping, including the very crowded and popular Fairway food market, and many nearby restaurants. 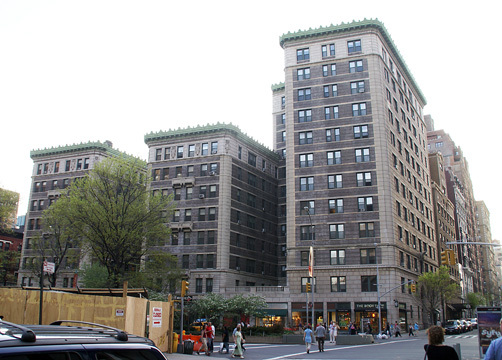 The building is named for its developer, William Waldorf Astor (1848-1919) who had previously built the Waldorf Hotel in 1893 and the Astor Hotel in 1904.